I've been quite on this blog for a while, I do apologise. There are lots of things to post but lately there has just been no time to write anything longer than a grocery list. As with everyone else's lives ours has been somewhat of a roller coaster, lots of thrilling highs and several crushing lows. On Saturday June16th, just half an hour before we held a party for my 40th, we had to put our little dog to sleep. Now both my fur babies are together in doggies heaven. 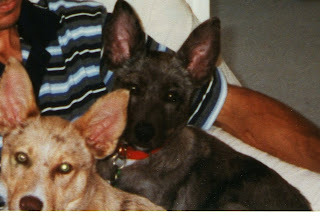 Shadow was a sweet and faithful companion for more than 15 years. He was born to follow, hence his name, he arrived with us 6 weeks after his brother (they were from the same litter) and he was unwanted. We visited the pet store with our pup Chilli to buy some dog food and saw the little black pup in a small yard, his claws were overgrown and he was much thinner than our puppy. We decided that although it was almost the end of the month (and there was still one week to go until pay day) if we had enough money in our bank account to buy him we'd take this little unloved mutt and give him a home forever. Never in the lead, Shadow lived up to his name until the very end. They did eventually grow into their ears... well almost. 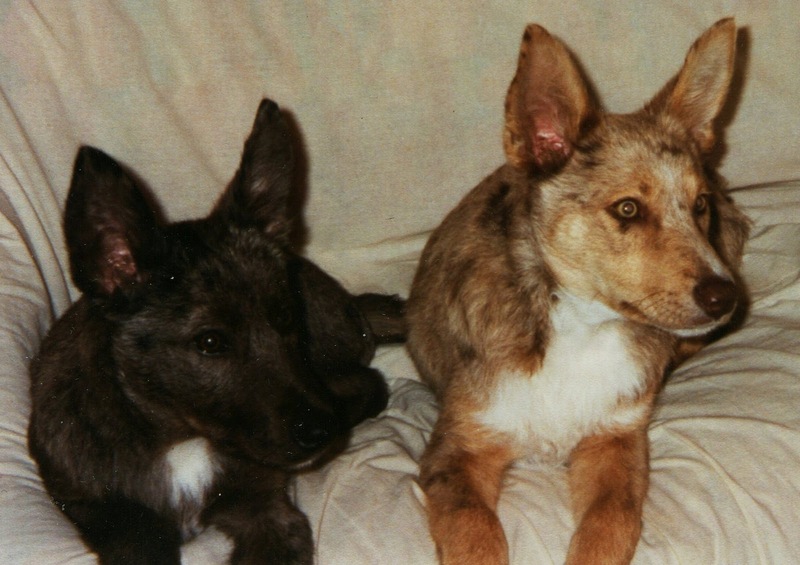 The photo below of our favourite pictures of the boys when they we still young-ish pups, we even made it into a jigsaw puzzle. I don't quite know what we did to get them to stay still enough to take this picture, although it looks like I captured this image just before they sprung off the sofa.... probably for an icy-pole. For all the running after them when they'd take off at doggie obedience school, the eaten books, washing torn off the line, tumble-weed balls of dog hair, drool soaked tennis balls they begged me to throw and poops I managed to step in over the years... if I was back in the pet store I'd take them home all over again. Miss you Shadow Meister and Chilli Bhagwan!